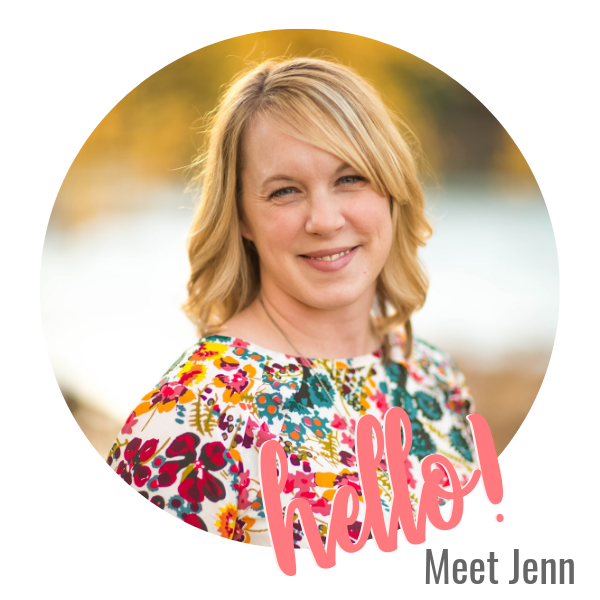 Spring Cleaning Your Spiritual Life: Tips for Doing Family Devotions (plus a Giveaway)! Winter is almost over–hooray! !–and so our minds naturally start to shift to “spring cleaning” or “decluttering”. 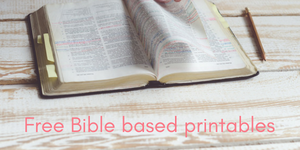 Many times spring cleaning is focused on renewing and refreshing our physical homes, but since I share mostly about family life and teaching Scripture to your kids here on the blog, I thought it might be fun to share a way we can renew (spring clean?) 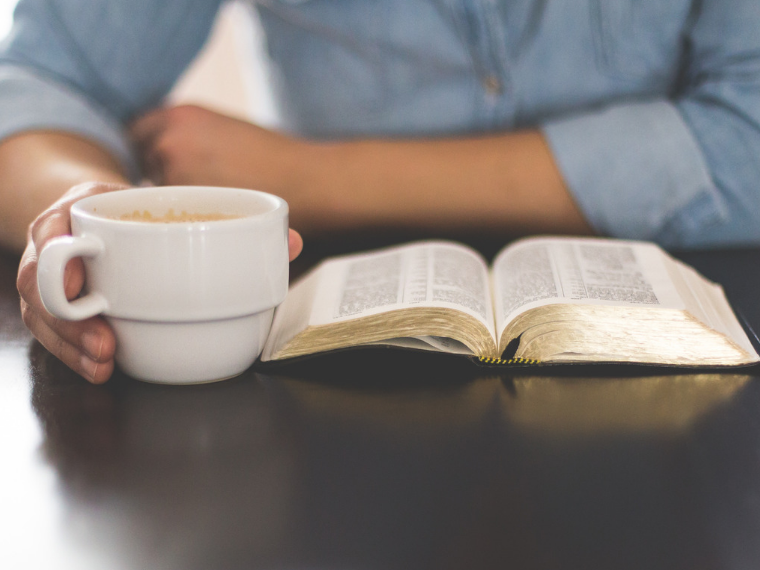 our spiritual lives with tips for doing devotions with your family! You may be wondering why this is “spring cleaning” related, but it’s because I think that this season is a great time to restart devotions with your kids if you’ve gotten away from a regular devotional/prayer time. Family devotions for us are a time to dig into God’s Word with our kids from the oldest to the youngest and also to teach them that they can pray to God anytime about anything! 1. Choose a time of day. Morning, evening or at the dinner table, whatever works best for you. Try to find a time that can stay consistent. If you know that you have evening activities several times a week, night time probably isn’t the best option. 2. Make it a relaxing atmosphere. Some families like to light candles before they pray or include music and family singing time. You don’ t need to know how to play the guitar or piano to make a joyful noise to the Lord! 4. Encourage prayer. 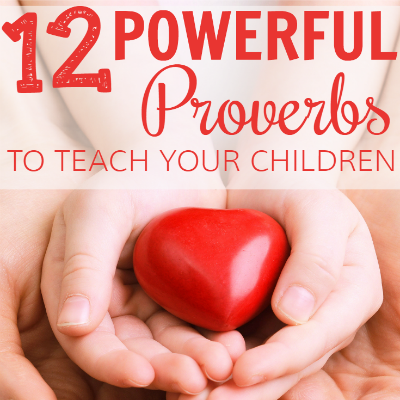 Praying with your children strengthens their faith and encourages them, especially when you pray over them. If your child struggles with praying out loud, I share in my video a tool that has worked for us to jump-start our children’s prayer time. Make it grace-filled and don’t force it. 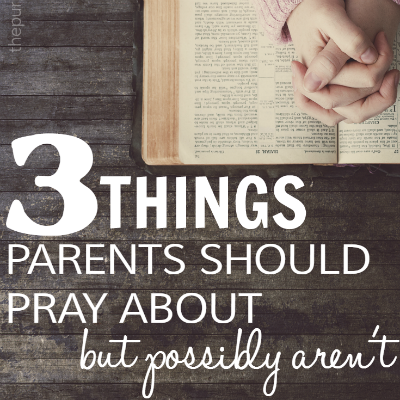 You can also read about 8 simple tips for helping a child who is hesitant to pray. 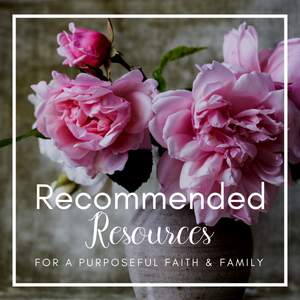 There are some really solid and wonderful resources for family devotions, and these are a few that we recommend! 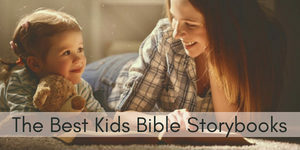 We are very picky about what we choose to teach our children and want our devotionals and children’s Bible storybooks to be accurate, true to Scripture and emphasize what Jesus has done for us (rather than what we’ve done for God). 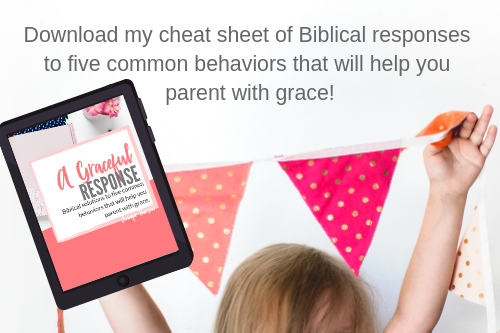 I hope these tips and suggestions have given you the confidence to begin (or restart) family devotions in your home! 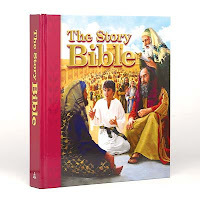 *The Story Bible from Concordia Publishing House, St. Louis, Missouri. I’m joining with some fantastic homemakers to host a 6-week spring clean and declutter challenge starting March 6! 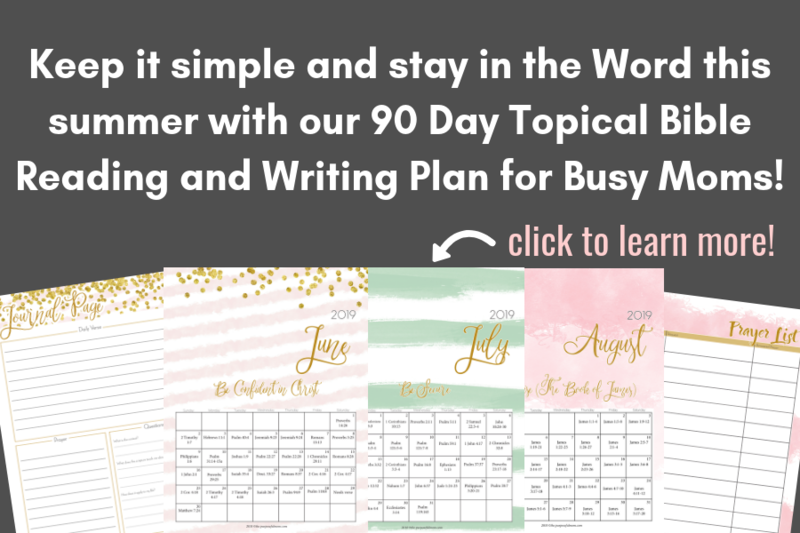 Click here to download the planner that will guide you through the challenge! THEN enter below to win the Spring Homemaking Giveaway to bless your home and family! 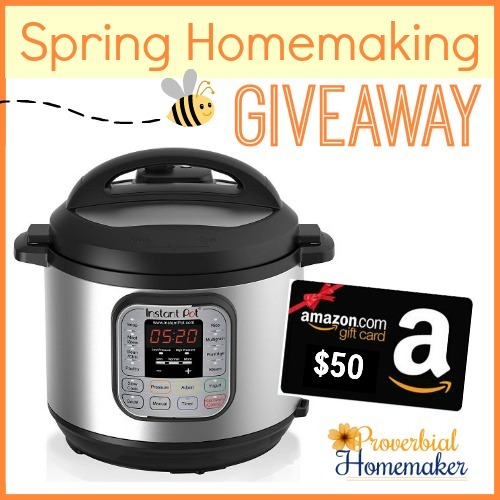 The winner will receive an Instant Pot Duo 6-quart 7-in-1 pressure cooker! ($234.95 value) AND a $50 Amazon gift card! Giveaway runs until 11:59pm PST on 4/23/17. Winner will be notified via email and has 48 hours to respond before a new winner is chosen. « 40 Days of Lent Printable Prayer Chain! 19 Comments on Spring Cleaning Your Spiritual Life: Tips for Doing Family Devotions (plus a Giveaway)! My biggest challenge is not enough time after work. The biggest challenge we face is time. Two parents that work full time and four kids takes some planning. 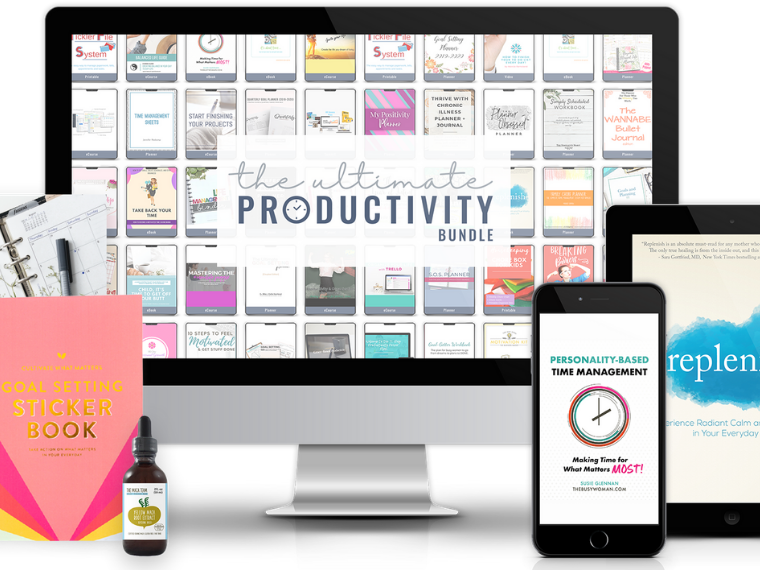 These are perfect tips and resources. 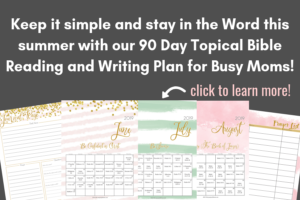 I have been planning out my devotional time and this is the perfect time. Thank you. Finding things everyone will eat is difficult. I have to make different dinners for my three kids. The biggest challenge in making homemade meals for my family is the time. I work full time and it’s hard to prepare a homemade meal when I don’t get done working until after 6 pm. As a single mother of two, it’s time. Commute, homework, cooking, etc. doesn’t give me a lot of time. Not having enough time in the day. Eating healthy is hard when you don’t get everyone home until at least 7. Time is our biggest challenge. It seems as though we never have enough time to cook. One of my biggest challenges in making homemade meals is getting everyone all together. 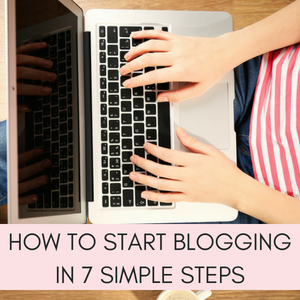 Most days, my hubby and son work different hours and it is hard to plan meals. My biggest challenge is finding the time to cook! My biggest problem is finding a recipe I have all of the ingredients for. Having the time to cook healthy while homeschooling! 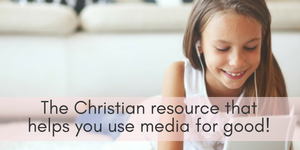 I’ve been looking for resources to start devotionals with my children. You have some great insight. Thank you for all of the links! This is a great resource. Thank you for sharing! I forget to plan ahead some nights for things that take longer than the rest of the meal to cook…. Making meals that my family will actually eat!